Cue DJ Jazzy Jeff and the Fresh Prince's all-time classic, "Summertime". It is in full swing you know...and the heat is definitely sending us a not-so-subtle reminder. 'Tis the season to party, party, party. Celebration is in the air. I glanced at my calendar -- yes, I have a life some days -- and noticed that my family and I have an event to attend every weekend in the month of July. two birthday parties, a soccer banquet, a couple of media events, a bon voyage, a graduation cookout and a baby shower. I'm quite sure there will be a few barbecues tossed in the mix as well. I'll be bringing the gift of myself to each of these events. All I need is a pretty, little bow! While I'm not hosting any events of my own in July, I am most certain there is going to be a reason to party in August. If not, I will definitely find one, if it means I get the chance to send out stylish and chic Tiny Prints summer party invitations to guests. In a technology-driven world where evites are all the craze, I'm a sucker for a traditional in-the-mail-with-a-postage-stamp type of invite. For one, it's nice to receive something other than a bill in the mail. 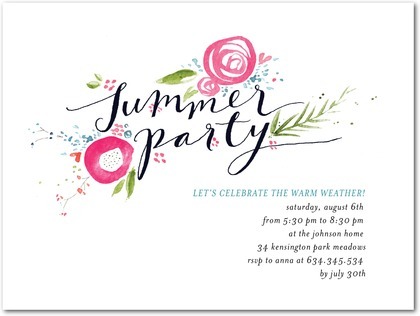 Secondly, the invitation kind of sets the tone for the party before it arrives. It gives the guests an idea of the theme of the event so they will know whether to bring their A or B game. 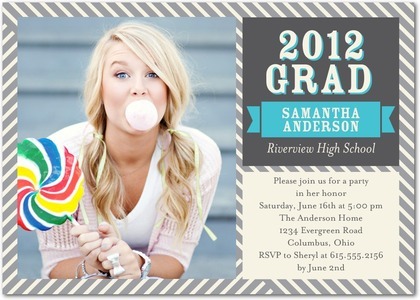 Lastly, invitations are cool. They can be used as keepsakes, reminders and tucked neatly away in a scrapbook for an added memory. 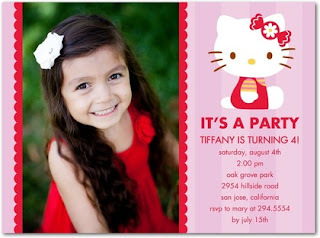 I have utilized Tiny Prints on several occasions -- party invites, calendars, business cards and just pure inspiration. I could literally spend an hour on the site looking at all of the beautifully made designs. 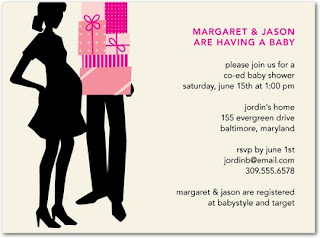 Invitations have come a long way! Are you hosting a spectacular event this summer and want to show the people what you've got?! Of course you do, with your fabulous self. Here is the perfect giveaway for you. As a member of Global Influence, I was provided free invitations from Tiny Prints for working on this campaign. There was no monetary compensation for writing this post. The opinions and views are my own.